Whoever coined the term "fighting like cats and dogs" obviously never met these guys. 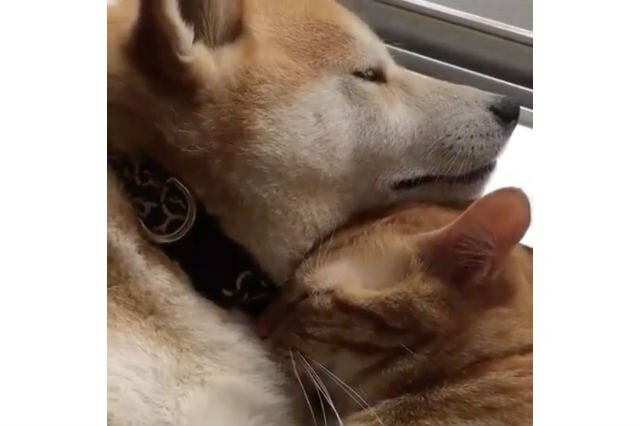 Check out these cats and dogs who are totally and adorably obsessed with each other. "You got some Friskies on your face. Lemme get it." 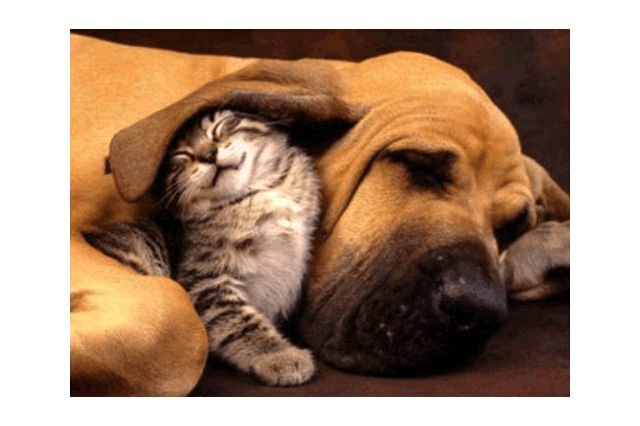 Cats are obsessed with dog's ears. For reals, they're like built-in kitty toys. Some cats are pawsistently annoying. "It's okay fren, the hooman didn't mean to call you a bad dog." 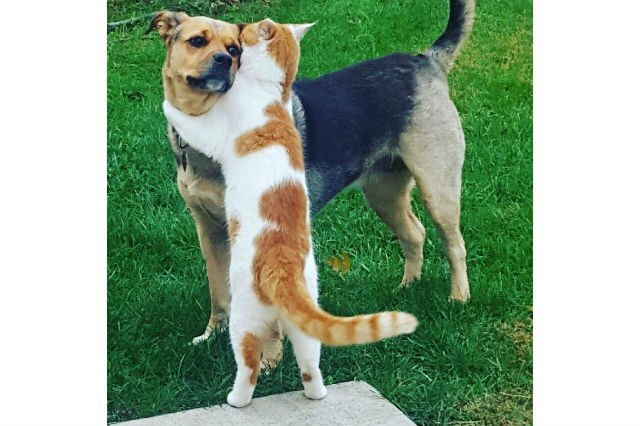 "I love you, and I love to pet you, kitty." Cats know that dogs have and also make the comfiest beds for a snooze. "You has a big snoot to boop, dog." "What a big mouf you have!" This pup obviously needs to learn the rules. Like, dogs are basically cat recliners. One of the reasons dogs love cats is that they give great massages. Cats and dogs both like to play they are pro wrestlers. 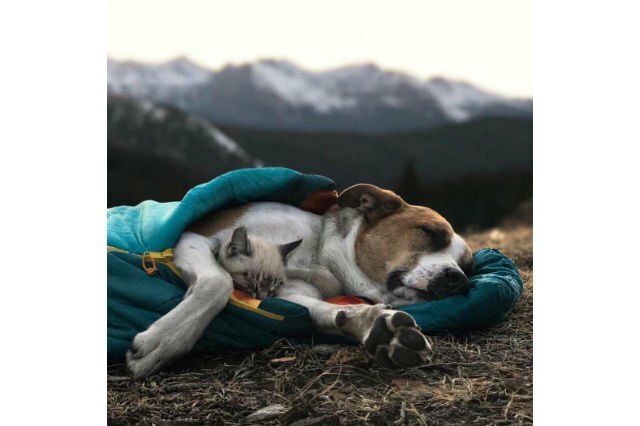 Look at these two buddies on an adventure together! These two snooze together so much, they have become the same color. 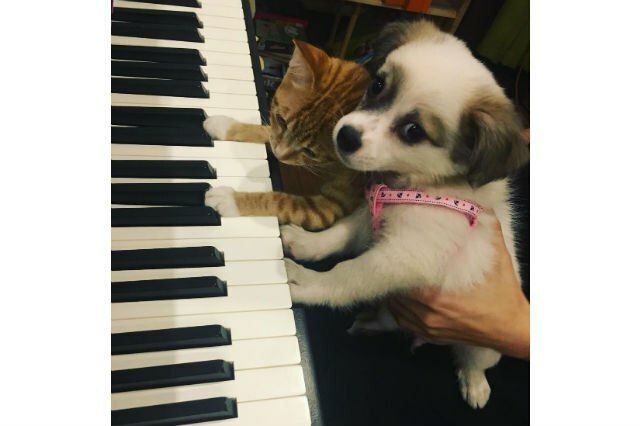 Cats and dogs make beautiful music together. "My kitty. Get your own kitty." Little baby kittens know the safest place is under a giant doggo. Who needs a cat bed when you've got a big fluffy dog? 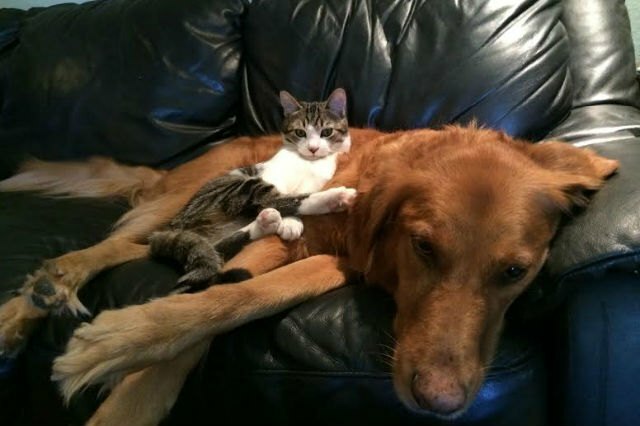 This dog submits to his kitty overlord like a good woof. How about a few more photos of adorable pets? Start with this gallery of pets embracing sweater weather and then scroll through this list of 24 awesome dogs who freaking love car rides.